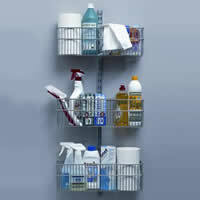 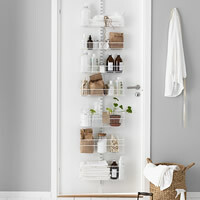 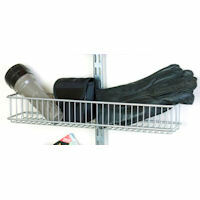 Make the most of the unused space on the back of a door with our new door rack system from elfa. 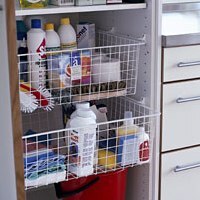 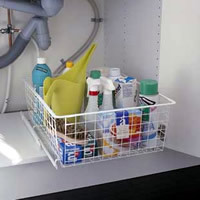 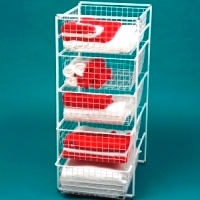 Especially useful in a craft room, we've included a combination of our versatile sparring baskets in both the wire and mesh finish. 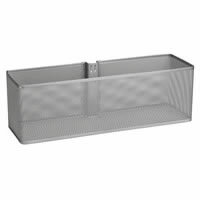 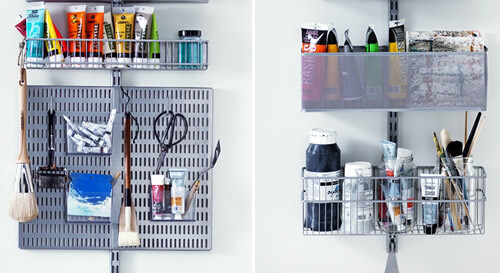 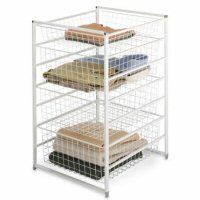 These are great for storing paints, pens, brushes and pretty much any art supply that you can think of. 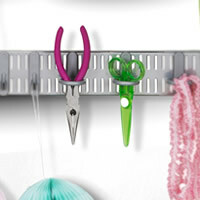 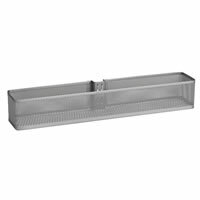 There's also a storage board along with a selection of hooks and clear acrylic storage boxes which are ideal for hanging scissors, little tubes of paints etc. 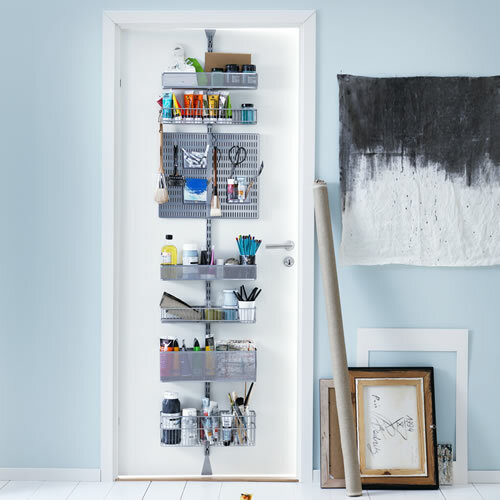 Simply place the 2-piece elfa overdoor hook set over the top and bottom of your door and clip the elfa wall band in place. 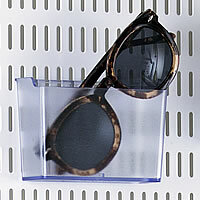 Then use the Allen-key provided to secure your storage solution without the need to screw into or damage your doors.